Next event is in June! Celebrate the International Day of Yoga in Boston with Marijuasana. I'm thrilled to participate as a panelist in this ground-breaking event at NECANN in Boston! I'll be joining Janet McAllister, founder of Hippy Chick Natural Solutions and wellness coach Carolyn Kaufman to speak about how cannabis is integral to wellness, and how to incorporate cannabis into your holistic health lifestyle. I'll be teaching a complete Marijuasana CBD Yoga class directly after the panel discussion. Please join me. 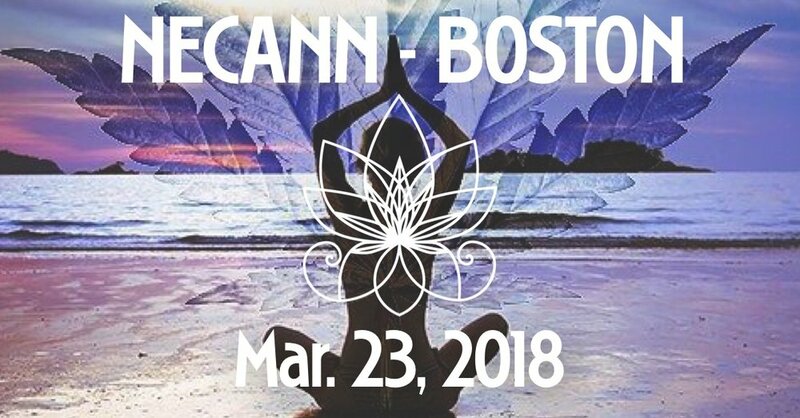 "Kick off NECANN Boston with Cannabis Wellness Immersion featuring Marijuasana! Join us on Friday, March 23 for a first-of-its-kind addition to the NECANN Boston schedule: The Cannabis Wellness Immersion. This two-hour workshop features speakers and wellness practitioners who are harnessing the health and healing properties of the cannabis plant with other complementary herbs and activities to guide their clients and loved ones to a higher state of wellness. After brief presentations from our speakers on integrating cannabis into your wellness routine through yoga, meditation, healthy munchies and other tips, attendees will experience Marijuasana, a CBD-infused yoga practice. This slow, sensual style of yoga will engage your attention and leave you feeling amazing – the perfect kick-off to a long weekend of learning, networking and growing at NECANN!"